From the Energy Union, to (possibly) better Europe? A very interesting matter has been adressed lately in the European Union. The Polish Prime Minister Donald Tusk decided to take voice and raise the matter of Russia – or to be more precise – the matter of Gazprom – the largest extractor of natural gas and one of the largest companies in the world. According to him, the European Union should become free from Russian gas suppy and create it’s own „Energy Union” to „secure its supply and reduce its dependence on Russian gas”. The blueprint he submitted, can be found in the latest Financial Times (22nd April) and as it says, it would establish a single European Union body that would buy gas for the Member States. As we can assume from Tusk’s speech, European Union is annoyed of the constant increase in gas prices imposed by Russians. What is more, there are countries who because of this increase feel deceived. A good example of it is Lithuania who not so long ago sued Russian Gazprom explaining that they are paying more or less 35% more then Germans. Also – last month, because of well known Crimean Crisis, already poor Ukrainians living in Kiev suffered from increase of gas price (the Ukraine unpaid gas bills to Russia in 2014 stood at about $1,7 billions). Taking those facts into account, we can clearly see – the desire for change is a major step to avoid their overpriced gas supply. Here it is worth to add that even though every country is negotiating to reach some kind of consensus on the gas price, not everyone of those will be accepted. Because of this this, as we saw in the example above, some countries are paying riddiculously higher prices than the others. Gazprom is also under surveilance of European Commission since 4th September 2012 on the grounds of „abusing its dominant market position in upsteam gas supply markets”. Right now at least 10 of European Union countries are dependant on Russians on this matter and some of them (and also other European counties) does not even have a chance to change the gas supplier (for example Gazprom owns (or co-owns) 100% of pipes in Moldova). Of course, like it is also – there are supporters and opponents of a given plan or idea. In this case the opponent was the bloc’s energy commissioner – Gunther Oettinger. In his answer he stated that „gas deals between EU countries and Russia will not be affected even if economic sanctions are imposed on Moscow because of its role in destabilising Ukraine”. He also added that he is against scaling back or even cutting the gas links with Russia in the uncoming years. 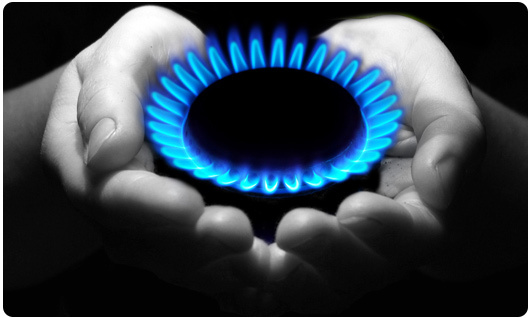 Talking about gas, we certainly do not want to forget about the shale gas. Even Donald Tusk, in his blueprint gave a special call to the European Union countries, to as quoted „exploit existing supplies of fossil fuels and the so-far untapped resources of shale gas”. However this raises a very important question – will this be enough to become free from the Gazprom ? In my opinion, no. What is more we still do not really know about the scale of supplies of the shale gas in Europe, so right now it is hard to discuss on this matter. Nevertheless – it is still an option. To conclude, the idea presented by the Polish Prime Minister is cerainly a good idea to start. As a Pole, I am really glad to know that some major steps are being made – even on such inicial steps as ‚idea’. I really hope to see it blooming in the nearest future – hopefully into something more then just a sketch. The European Parliament has passed a proposition of a new policy concerning abolishing of roaming charges in the European Union. 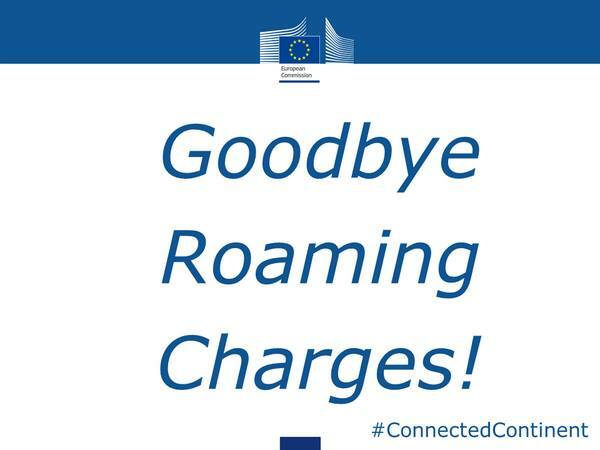 From 15 of December 2015 EU citizens will not feel any changes of costs in telecommunication connections when they go abroad. The costs of spoken or texted conversations and surfing on the Internet will be equal to this from your home area. It is a great news for these who use quite frequently the privilege of free movement of persons within the EU or run a business for large, not only national, scale. It all began in 2013 when the European Commission introduced a project of a new policy involving removal of every kind of telecommunication limitations in all Member States. This proposition is a first element of new telecommunication bundle for the whole Union. Its aim is to create homogenous market in this area.Easiness in communication and no limited transfer of dataseem to be crucial in contemporary times because ‘time is money’. However, to this moment we were losing huge amount of it because of international conversations that were imposed by national cellular network providers. From half of December the following year all is going to change and unify to make people’s lives more convenient. The new regulations will also embrace using Internet. From this time Web access providers will not be able to block and slow down some of services. This all will build even more comprehensive internal market in the European Union as we see today. Complete fulfillment of the EU’s four freedoms will result in achieving a higher level and pull together toward closer relations between Member States. According to the data presented by the European Commission almost 28% of citizens decides to turn off their mobile phones while staying abroad to avoid paying higher charges for international conversations. What is more, only 8% of EU citizens use the mobile phones no matter if they will pay more because of charges of national cellular network providers (http://europa.eu/rapid/press-release_IP-14-152_en.htm). Final decision must be decided by vote during European Parliament plenary session and be approved by the Council till the end of 2014. Not only EU Member States but also Norway, Switzerland and Iceland will introduce the changes that will be noticeable for everyone in united Europe. I have a feeling that we speak not often enough about positive aspects of our European variety. We say about it from time to time, that it exist, but we do not stress that its wonderful. 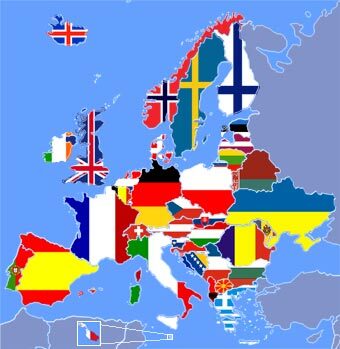 Especially now when thanks to functioning of the European Union, many countries finally live peacefully and other try to cooperate with the organization. Contemporary Europe made of ancestors of Celts, Slavs, Germans, Romans is a varied land of opulent common history, art, knowledge and identity. Europe is simply beautiful mosaic accumulated on only 2% of the Earth’s surface. In the text I will indicate some fields that distinguish us from other continents. – say that the European Union received Peace Nobel Prize in 2012 (for advancing the causes of peace, reconciliation, democracy and human rights in Europe). The aim of the EU is stated in the Treaty on European Union, where is written: “creating an ever closer union among the peoples of Europe”. The initial idea that was expressed by founding fathers concerned stopping violence and conflicts in post- war Europe and making most important political actors (France, Germany) linked to each other economically. Nowadays the EU associates 28 countries. Citizens of Member States share the same EU citizenship. Abolition of controls at internal borders and common currency (euro) are also factors that contribute to fostering European identity. 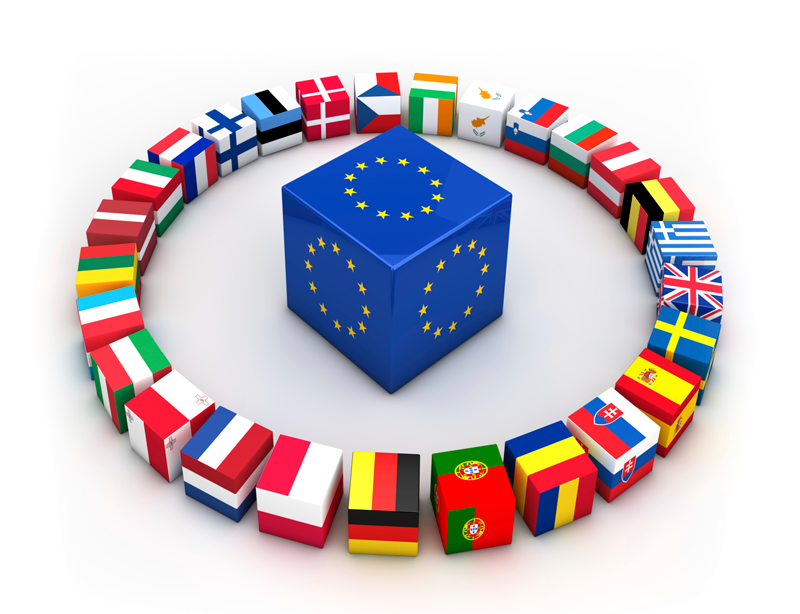 The European Union membership and standards bacame for other countries a main goal to achieve in the future. One can find set of stereotypes concerning almost every nation on the continent. Germans are considered to be people who love order and organization. Spanish nationals have a lot of charisma and artistic inclinations (dancing, singing, painting). Poles, Ukrainians and other Slavs are hospitable, helpful and hardworking. Italians can be mostly known for their emotional characters, beautiful landscapes and delicious food. France is a place where the diplomacy, political thinking reaches perfection as well as cuisine, fashion and art. Scandinavian countries (Sweden, Norway, Denmark, Finland, Iceland) stand for a balance power to a sunny temperament of southern countries. Scandinavians love nature, cleanliness, discipline. They are certainly very respectful and well educated. Let’s make a special menu of European dishes. I bet people from other continents would have hard time not to choose everything at once. On such a list would mix Central, Eastern, Northern, Southern, Western European, cuisines making it impossible to compare them with any other continental cuisines. We Europeans would certainly propose to try from „this menu” things like: Spanish paella, Neapolitan pizza, Greek salad, Polish pierogi, Ukrainian borscht, English Sunday roast, Serbian Đuveč, Belgian moules frites and Russian pirozhki. For the dessert of course we recommend layered cake, so called Slovenian Prekmurska gibanica. Everything said here may seem to be a perspective of someone wearing pink glasses. Of course I see some drawbacks, things that I would like to change in Europe, but then it would look like a utopia- place impossible to exist. Still, Europe is a welcoming homeland for us- Europeans and for other people willing to find here better life.